For Diwali (The Indian Festival of Lights) this year, we had plans to visit the Czech Republic. Our travel-agent (In-Time travels) sent us several flight options and we shortlisted Turkish Airlines as the one with the best connections to Prague via Istanbul. Before issuing our tickets though, Hema Chabria, the charming wife of Ajay, owners of In-Time travels (our preferred travel agency in Mumbai), called and asked if I was open to trying a budget airline to Europe. At first, I brushed her off and said, the Turkish offer was already competitively priced, but when she shared with me the Business Class fare to Prague on ‘flydubai”, my interest piqued. It was well over 50 percent cheaper and the connection was fantastic. Before confirming, however, I did my online research and was discouraged by some of the negative reviews I read. I called Hema and said I would prefer to stick with Turkish Airlines and asked her to wait for one more day before issuing our tickets. My decision to delay issuing our flight tickets by a day, was a wise one, as that very evening, as fate would have it, I met a friend who had flown from Dubai to Bangkok on ‘flydubai’ . He said, that other than the size of the aircraft, he found the experience to be quite enjoyable given the competitive price he paid. After a discussion with Laveena later that evening, we decided to give ‘flydubai a try and the next morning, I called Hema, to have our tickets to Prague issued. Our check in at Mumbai airport on Sat the 14th of October was smooth. When we arrived at our gate to board our flight, I noticed that the ‘flydubai’ 737 was dwarfed by the larger aircrafts parked alongside. Our first reaction was one of dismay and skepticism and we were naturally concerned about our decision to choose this airline. I was happy to see that they had priority boarding and once on board, we were warmly greeted by the Cabin manager, Vivek Raghunath, who, almost polite to a fault, showed us to our seats. The business class cabin of a 737, usually has no more than 12 seats. 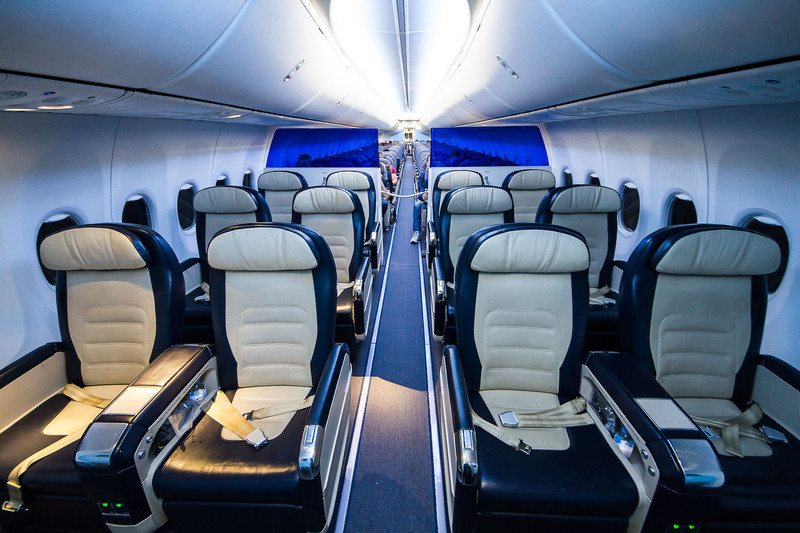 Although comfortable on short flights, the fact that the seat reclines only marginally is definitely a negative on longer journeys. Vivek was quick to update us on ‘flydubai’s’ future plans which included orders for Next-Generation Boeing 737-800s and the 737 Max 8s. He said that there had to be some initial compromise for the lower price we paid, but promised that the management had taken customer feedback seriously and was working hard to correct all the negatives, especially passenger comfort. 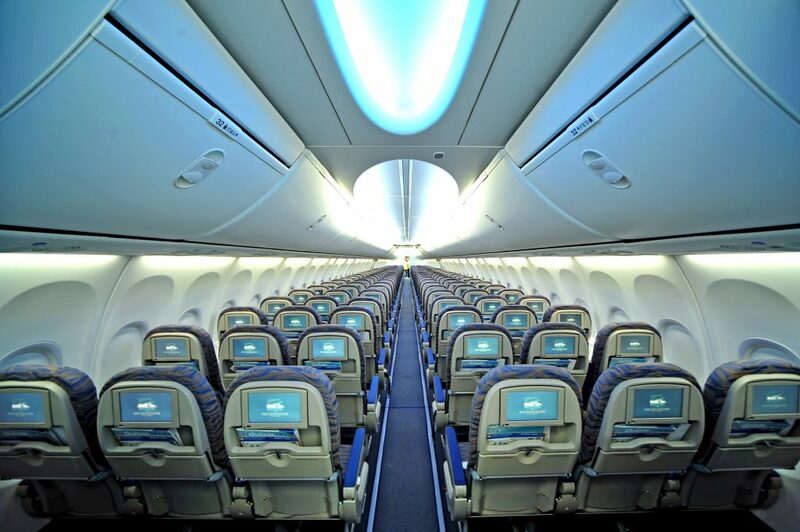 The entertainment system on flight worked flawlessly although the size of the screen was indeed much smaller as compared to those on the 777s, the 747s, and the A-380s. However, they did have a fairly impressive choice of movies and scored a plus with the headphones which were comfortable and had a good sound quality. The comfort of the pillows and blankets also passed the test keeping in mind the fact that ‘flydubai’ advertised itself as a low-cost airline. 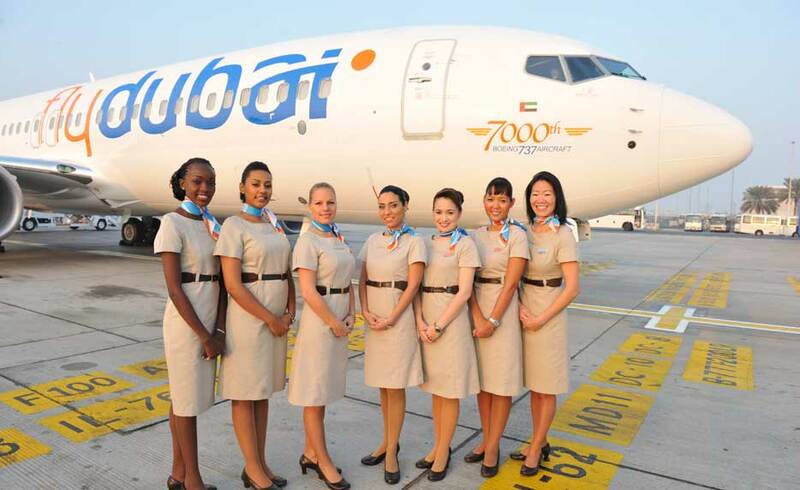 We landed in Dubai at the scheduled time of 06:50 am. 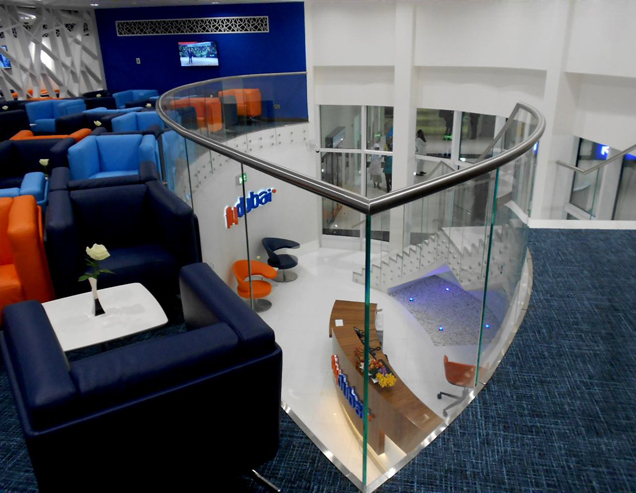 A separate bus earmarked for Business Class passengers drove us to a special ‘flydubai’ terminal. The lounge though not ostentatious was neat and comfortable. Our connecting flight to Prague was scheduled at 08:10 am, so the wait time was short. I was pleased to find a separate boarding gate, sectioned off from the general terminal, for Business Class passengers, with yet again an independent bus to drive us to our aircraft. Our flight took off precisely on time and landed in Prague on schedule too. I was happy to see that our bags at Prague airport had arrived ahead of us and although ‘flydubai’ did receive a number of TravelMango positive ticks, the real test would be on our return flight home. After a magnificent stay in the Czech Republic, 10 days after our largely positive experience on ‘flydubai’, it was time to return home. With beautiful autumn memories to last us a lifetime, we boarded our flight to Dubai on the 24th of October at 13:45 pm. We were welcomed on board by Ruba, a happy and friendly stewardess from Syria who showed us to our seats. Ms. Priya Frias, the Cabin Manager, introduced herself and went on to make the next six hours of our flight beyond pleasant. 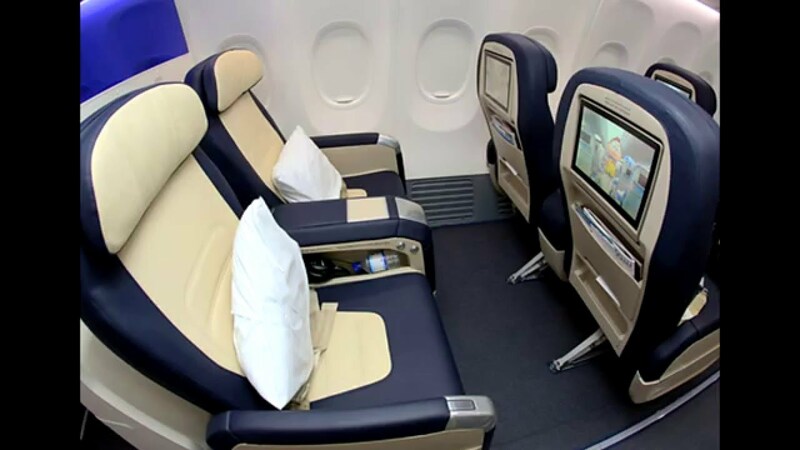 We almost forgot that our seats didn’t recline into a flat bed, as Priya’s keen attention to detail and to the needs of all passengers in the Business Class cabin was exemplary and more than made up for the lacking comforts. Her text-book training skills aside, Priya’s smile was genuine and didn’t leave her, until we arrived in Dubai, over 6 hours later. Throughout the flight, she made sure that each passenger was comfortable, each was asked innumerable times whether he or she would like a refill of their choice of beverage, if the ice in anyone’s drink melted, Priya would return with fresh cubes almost by magic. I didn’t enjoy my initial meal choice of pasta and she happily replaced it with a second meal option I chose. No fuss, no attitude, only a strong wish to ensure that this flight was as perfect as she could help make it for those on board. And it was. 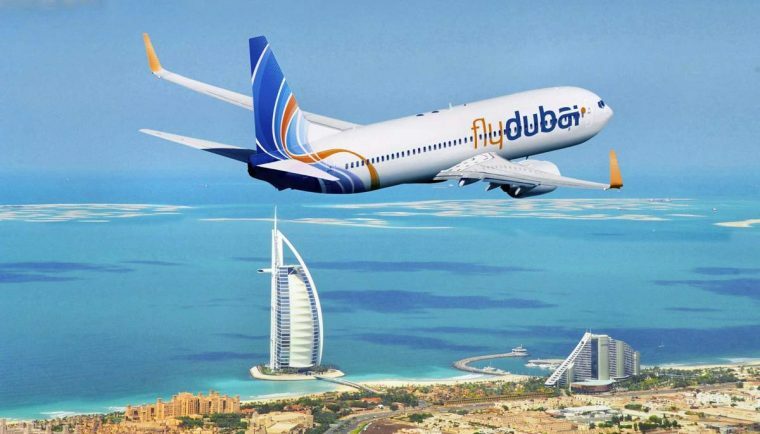 Thank you Priya, you make for an ideal ‘flydubai’ Ambassador and the airline should truly be very proud of investing their time in training you. What is quite clear is that the time the Cabin Crew get, to service fewer passengers on a long haul flight is more, given the smaller size of the airplane. And this, in my opinion, to an extent makes up for the compromised comforts of a larger more extravagant and fancy cabin with a crew who are often distanced and disconnected. I did connect with a few passengers flying economy and they too agreed that the service on board was excellent. We arrived in Dubai at 21:55 and our connecting flight to Mumbai, was scheduled at 23:30. The short layover was a welcome one. Our flight to Mumbai was also comfortable and to receive that rather elusive ‘Travelmango’ stamp of a ‘thumbs up approval’, our bags arrived just as we walked through immigration, past the Duty-Free section, and to our conveyor belt. 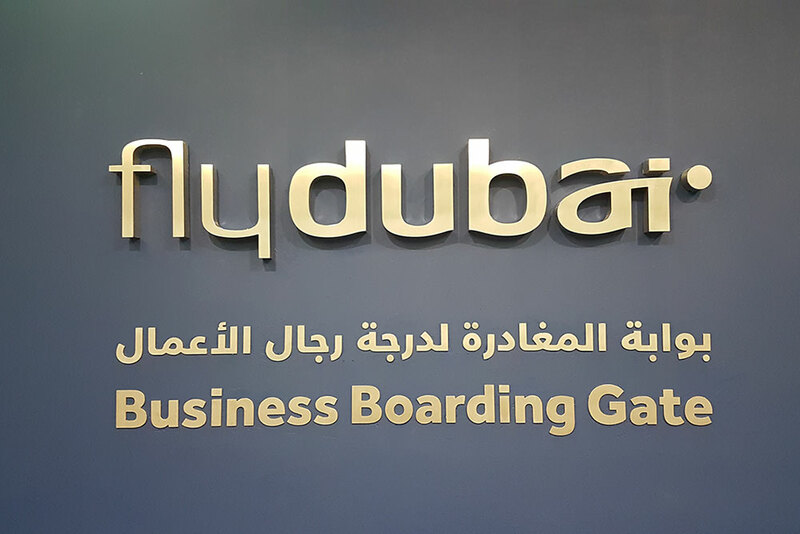 We are now happy and satisfied ‘flydubai’ customers and would definitely recommend it to travelers who prefer shorter layovers, more competitively priced airline tickets, excellent in-flight service, good entertainment and newer aircrafts.